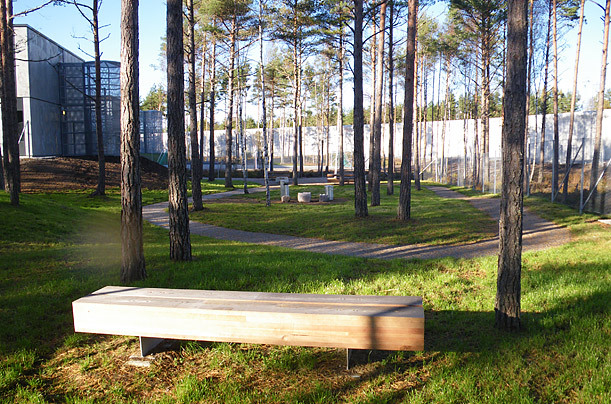 Halden's architects preserved trees across the 75-acre site to obscure the 20-ft.-high security wall that surrounds the perimeter, in order to minimize the institutional feel and, in the words of one architect, to "let the inmates see all of the seasons." Benches and stone chessboards dot this jogging trail. Photo taken 2010.